A screen Print reworked from the famous Scottish cartoon strip Oor Wullie that has appeared continuously since the late 1930s; printed on hand made Somerset paper and issued in a limited edition. Wullie (a common nickname for William north of the border) is characterised by his spikey hair, dungarees and the ubiquitous upturned bucket. His story is one of a cheeky lad who careers around town from one scrape to another (with his chums called Fat Bob and Soapy Soutar) not unlike his arguably more famous stable mate, Dennis the Menace. Less well known in England, Wullie has, nevertheless, achieved cult status in Scotland since his first appearance in the D. C. Thomson newspaper The Sunday Post. John Reynolds was the first artist to receive permission from the publishers to reproduce iconic images from the comics of D. C. Thomson. He has a passion for British comic art; a genre he claims has been long overlooked by the art market. 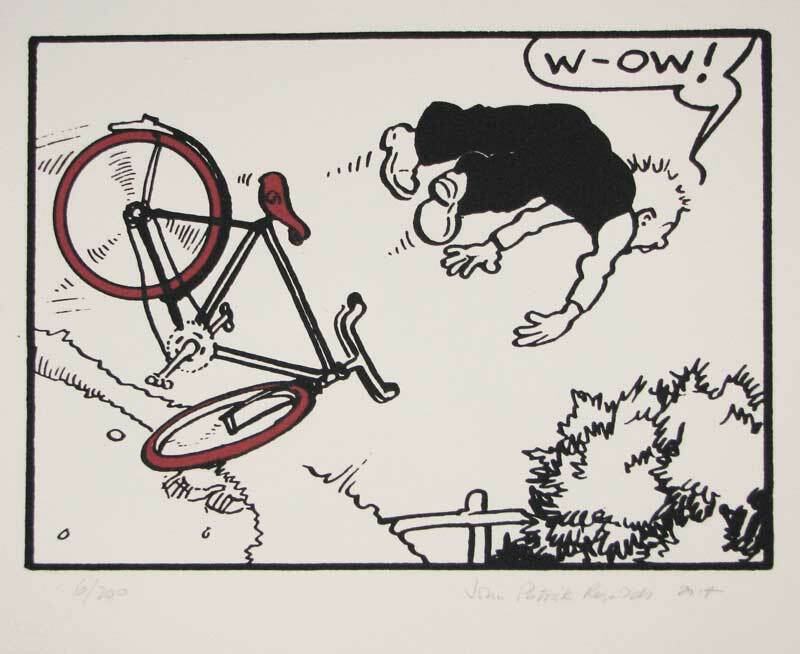 Celebrating characters such as Dennis the Menace, Desperate Dan and Alf Tupper, these prints have been carefully selected, enlarged and beautifully created in vivid colour. Anita O'Brien, curator of the Cartoon Trust in Bloomsbury says: ''Each of the drawings in these strips has taken an enormous amount of work. I don't think the public have ever fully appreciated the illustrating talent that went into many of these early comics''.